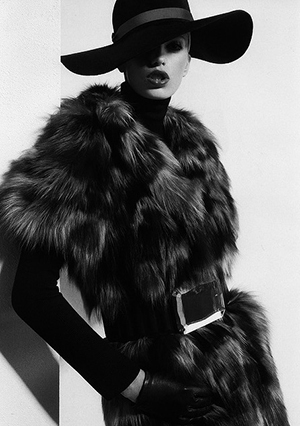 With over 30 years of experience, we have become London’s leading experts in Fur Coat Alterations and Fur repairs. Let our skilled furrier give a new life to your old fur coat or jacket by re-styling it to give it a more contemporary look. For example, we can change the look of your fur garment by remodelling the sleeves or collar, or transform it into a new fur garment like a fur gilet, a hat, or a scarf. With our skills, experience and creativity there are more options for restyling a fur garment than you can imagine. Performing alterations and repairs to fur garments requires the expertise of a skilled furrier with the proper tools and training. Alteration and repairs to fur garments must be carried out using specialised equipment including special needles and thread type designed for the unique properties of fur. As even a simple remodelling job can be complicated, we recommend that you only trust specialists like our experienced furrier with altering your fur garments. At Alterations Boutique we are committed to excellence. Our highly experienced, fully qualified seamstresses will work on your Fur Coat for as long as it is required to create the perfect fit, and we won’t be completely happy with the results until you are. We have established an excellent reputation for delivering impeccable quality alterations when it comes to re-styling, re-sizing, re-modelling, altering or repairing Fur Coats. What sets us apart is our ability to work to a factory finish which means that any Fur Coat Alterations we perform will be unnoticeable and untraceable; the original stitch pattern, thread colour and any detail will be matched perfectly. This makes us the number one choice for any Fur Coat Alterations in London. We are highly regarded because of the quality of work we perform, award-winning customer service we provide and reasonable prices we charge.